Ah…the first Christmas! What a fun time for new parents. 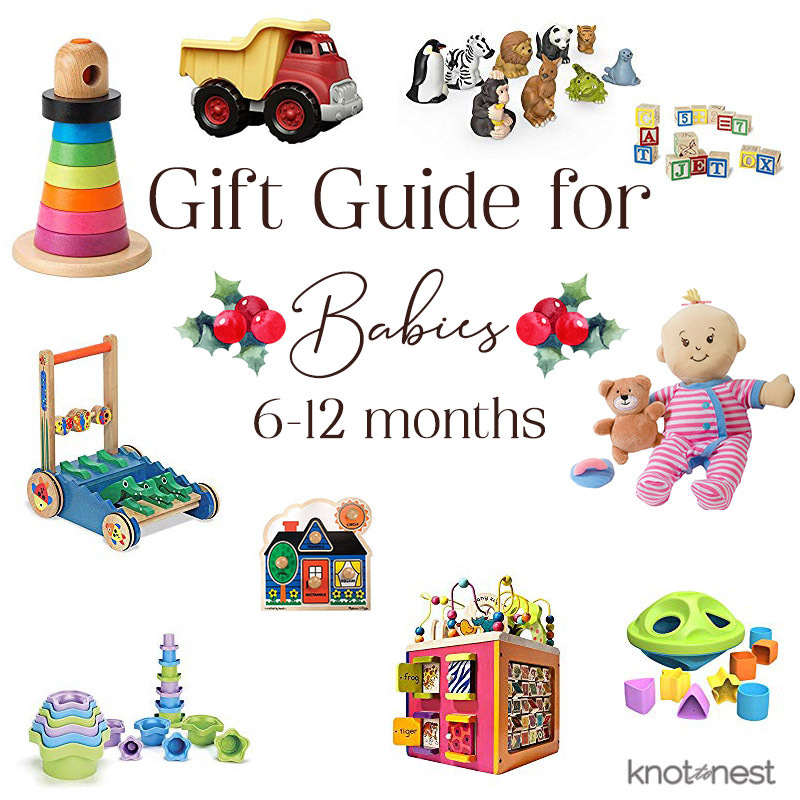 Whether your baby is fresh from oven or nearly a year old, the first Christmas is great fun. The truth is, the first Christmas is the easiest. Babies are truly happy with an empty box and a crumbled wrapping paper. 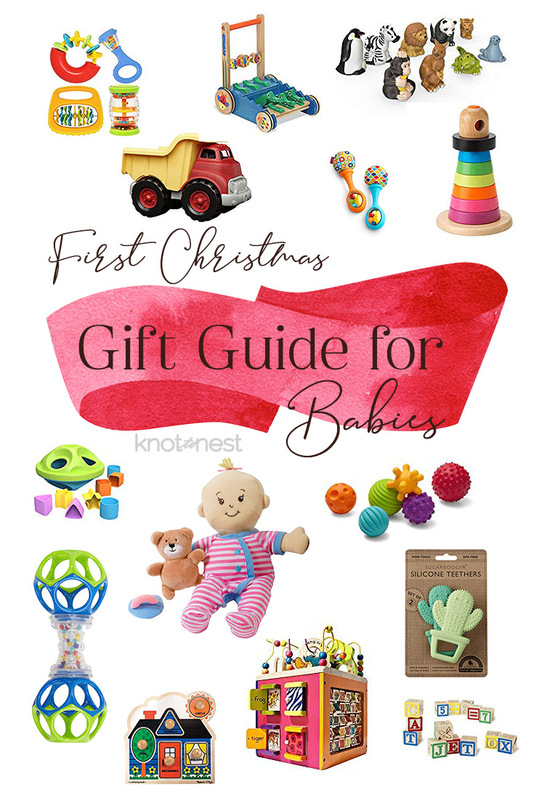 BUT if you are looking for ideas for your little bundle of festive cuteness below are some great, open-ended ideas. Open ended toys will span the ages and your investment will hold value well beyond the first year of life. 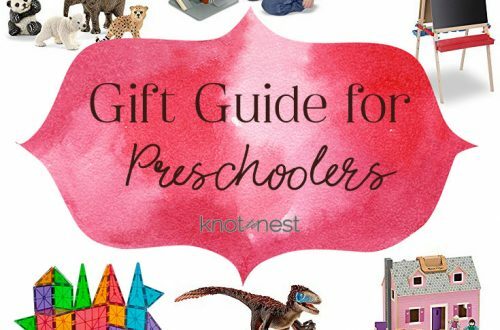 Read more about the value of open-ended toys for your little one here. 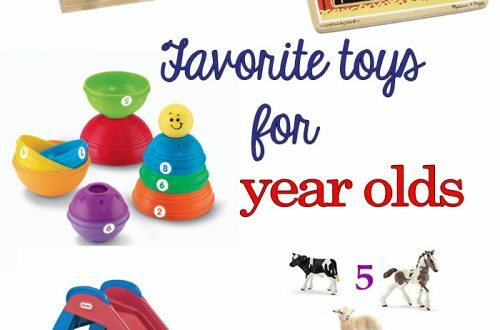 This age is one where useful items are great to add to the list, but if you are looking to add fun, open-ended toys to the list, here a few ideas! Clothing in the next sizes up. Babies grow so fast in the first year so stock up on the next one or two sizes up. Teething toys. Babies love to chew so investing in a quality teether is always a good choice. Sensory balls. These are fun for little hands to explore and they are safe for when they inevitably put them in their mouths too! This is truly one of the most fun ages! Babies start becoming mobile, chatting, and actually playing with things around them. 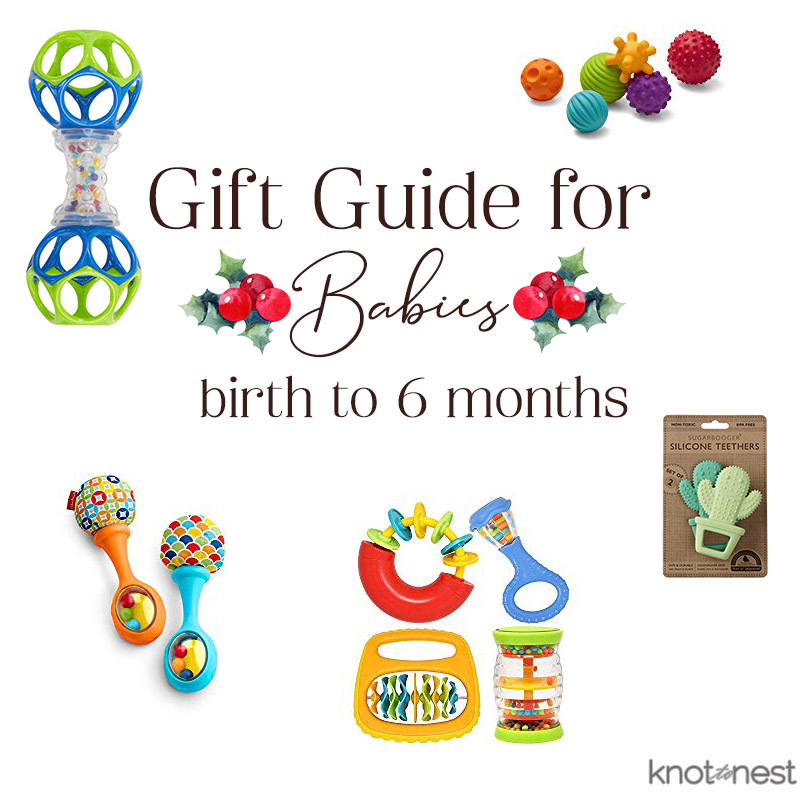 Below are a few ideas to add to baby’s Christmas list if they are 6 months to one year. Activity Center. A toy of this nature provides multiple areas of play. Baby can sit, crawl or even stand next to this toy and find fun on all sides. Push cart. As kiddos become mobile they will soon begin cruising along. A quality push cart can be used for just toddling little ones and confident walkers alike. My children still use theirs to carry stuff with them around the house. Wooden blocks. Blocks are a favorite staple toy in our household. Wooden blocks are a great start for little hands. First doll. Great for all babies! Children can begin to learn nurturing and empathy by playing with toy that has a human face. Shape sorter. Shape sorters introduce the idea of object permanence for little ones. They are able to drop the shape in, watch it “disappear”, and then it reappears later. First Truck. At this age, babies are all about cause and effect so cars they can push around help them to explore this principle. 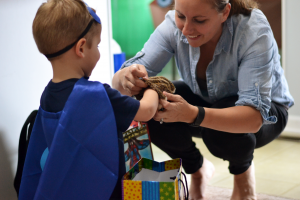 They can also begin to dive into the world of imaginative play. Stacking tower. Babies can use these toys to work on their fine motor skills. The rings can also be incorporated in other forms of play as well. Stacking cups. These make great towers, cups for dumping and pouring, and even the perfect bath toy. Chunky puzzles. Little hands can continue to practice their fine motor skills with chunky puzzles like these: 1, 2, 3. Animal figures. These by Fisher Price are soft and light weight, perfect for little hands.